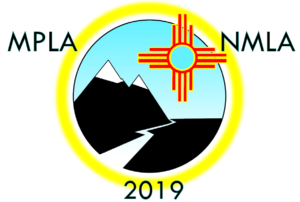 This year, the 2019 New Mexico Library Association (NMLA) conference will be held in conjunction with the Mountain Plains Library Association (MPLA) conference at the Hotel Albuquerque October 30 – November 1. Make plans to attend, as it is sure to be engaging with the participation of presenters and attendees from not only New Mexico, but 11 other states. We look forward to seeing you there!